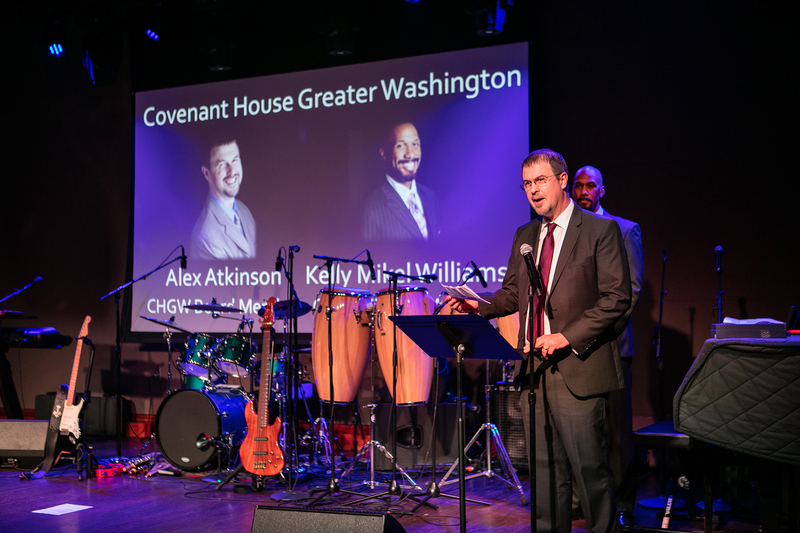 Washington, DC– Covenant House Greater Washington (CHGW) welcomes Alex Atkinson, senior manager of Corporate Relations for Exelon, to its Board of Directors. Atkinson brings more than two decades of experience helping nonprofits and in his current role focuses on advancing Exelon’s philanthropic efforts in Washington, D.C.
Atkinson will serve on the board of directors and support CHGW with a focus on workforce readiness and helping close the gap of under and unemployed Opportunity Youth in the Washington region. He brings years of experience supporting foster children through organizations such as First Place for Youth, Casey Family Programs and the Foster Family Agency. Exelon and its electric company, Pepco, have supported CHGW since 2011, participating in its Executive Sleep Outs to raise awareness of the need to help homeless youth and joining efforts to eliminate barriers for earning a GED and finding a job. Covenant House Greater Washington (CHGW) serves as the region’s leading non-profit in protecting, supporting, and transforming the lives of youth ages 18-24 experiencing homelessness, disconnection, and exploitation. For over 23 years, CHW has provided a safe harbor and wrap around supports to one of regions most vulnerable populations, which often goes unnoticed. The programs and services offered to young people include housing, workforce readiness, and education to help youth achieve housing, job, and economic stability. Exelon Corporation (NYSE: EXC) is a Fortune 100 energy company with the largest number of utility customers in the U.S. Exelon does business in 48 states, the District of Columbia and Canada and had 2017 revenue of $33.5 billion. Exelon’s six utilities deliver electricity and natural gas to approximately 10 million customers in Delaware, the District of Columbia, Illinois, Maryland, New Jersey and Pennsylvania through its Atlantic City Electric, BGE, ComEd, Delmarva Power, PECO and Pepco subsidiaries. Exelon is one of the largest competitive U.S. power generators, with more than 32,700 megawatts of nuclear, gas, wind, solar and hydroelectric generating capacity comprising one of the nation’s cleanest and lowest-cost power generation fleets. The company’s Constellation business unit provides energy products and services to approximately 2 million residential, public sector and business customers, including more than two-thirds of the Fortune 100. Follow Exelon on Twitter @Exelon.